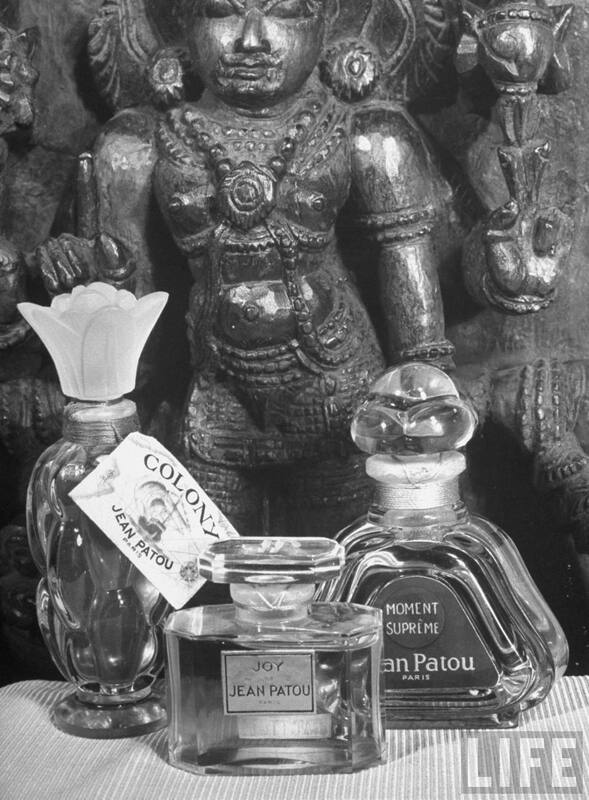 Sooner or later in your perfume journey the allure of masterpieces of the past will become too tempting to ignore. Or maybe you have a vague memory of something a beloved relative used to wear and you're yearning to find it again. No matter the reason, you are going to start looking for vintage perfumes, and if you're new to this particular obsession it can be confusing, overwhelming, heartbreaking or disappointing (and sometimes all of these at the same time). Here are a few points to consider if you're about to take a dive into the rabbit hole of vintage perfume. 1. Online shopping should be your very last resort. Eight, ten and even five years ago eBay was a great place to buy vintage perfume for pennies. So few people were interested in old juice and sellers offered these bottles as an afterthought. Nowadays it's a lucrative enough field to have professional crooks who buy empty bottles and fill them with who knows what. There are fake labels, watered down juice stretching that Chanel No. 5 drop into two bottles, and plain old thieves. On top of that there's also the issue that always existed: old juice may have turned on its own because of inadequate storage. You need to be aware that there's a risk there even if the seller is honest and reliable-- some things are out of his or her hands, and refund and return policies have become more complicated. If you've never smelled a certain perfume you'll have a hard time knowing if that's the real stuff in the bottle and proving that you even deserve a refund. So beware and rethink before you sink a crazy amount of money (that would have bought you a couple of new Amouage bottles at Luckyscent) into what may or may not be Chanel 46 (most likely it's not). 2. The safest and most satisfying way to get vintage stuff is in your immediate circle. Ask friends and relatives if they may have unwanted old bottles in the back of their closets. Some of the best stories I've heard about perfume treasures involved the linen closets of spinster aunts and grumpy old neighbors clearing out their attics. In the same way, yard sales and estate sales are also a great place to find stuff. People with no interest in perfume are prone to offer an unopened Guerlain gift set from the 60s next to their VSH tapes of Friends and for a similar price. 3. Thrift stores and Goodwill may hold some fine gems. Real antique stores are more tricky since many dealers prefer to only handle empty bottles (I don't even want to think about the priceless juice that went down the drain the process), and some of them have already caught up to the growing interest and raised their prices accordingly. 4. Don't disregard the cheapies. Of course, we all want to find that bottle of original Djedi. But with the dwindling supplies and growing demand for big names it's harder to find the grand perfumes from their heyday at even semi-reasonable prices. However, less known brands and even downright cheap ones from the 1950s, 1960s and even 70s are still worth a sniff and some of them are going to knock your socks off. Same goes for Avon. Most of the miniature bottles are beyond tacky, but the actual fragrances, especially those from the 70s were made with better raw materials than a lot of today's mainstream dreck. Have a sniff at Timeless or Charisma and you'll see what I mean. Are you a vintage shopper? Please share your tips, ideas and experience, bad or good. Recently began my quest for the golden oldies. Found a nearly full bottle of the original Calvin Klein (Red) at an antique mall in Pittsburgh. Base notes still are amazing! I've been dabbling in miniatures and have had good luck with Lauren, Tabu, and the original Chloe so far. I was telling one of my more senior co-workers about my little perfume hobby. One day, she gave me a never-used, pre-formulation bottle of Givenchy III. It was given to her by her father after she graduated in the late '70s, but she wasn't fond of perfume so she never used it. I was truly touched when she turned down any amount I wanted to pay her when she said, "This was something that my father gave to me as a gift. I would like it to be owned by someone who'd really appreciate - so I'm giving it to you as a gift." Thank you for this informative article Gaia. We generally buy our vintages at a tiny, half hidden store that still stocks some fragrances from the 1950s and 1960s. There we found vintage L'Heure Bleue, Shalimar, Cabochard, Diorling,Quadrille and Femme among other gems. i've had mostly good luck with ebay purchases - great deals on vintage farouche, chanel no. 5 parfum, and white shoulders among others. only one jerk trying to rip people off with colored water in a jicky parfum bottle. i made him take it back. it could've been a factice, now that i think about it, but he sold it as the real deal, and it certainly didn't smell like anything other than pine-scented water. local antiques shops don't seem to carry much perfume. i've only found one that does, and i've plundered her stash. antiques malls tend to overprice their bottles, and so far estate sales have yielded nothing but junk. but i keep looking because you never know! I tried my hand at vintage for the first time last month. A friend managed to locate a listing for Paco Rabanne La Nuit Parfum on ebay. It cost $100 even, but it was worth every penny. Still smells incredible. Not a note off. That may be more due to the opaque metal case it comes in, though. I highly recommend searching for it if you like any of it's other (also awesome) versions. Most of my 80+ bottles of perfume came from thrift stores, but I live in the Big City and so have many such to visit. Even so, you need to be incredibly persistent to find anything. I hunt a few times a week (no kidding). My husband thinks this hobby borders on madness, but evidently I share it with a few folks. Along the way, I've started collecting other things besides perfume, including enamel bangles and mid-century modern melamine plates from Couroc of Monterrey. Cheap thrills. So true about the Avons, Gaia! I just bought a bottle of Timeless, after being turned on to it by a friend (IScentYouaDay.wordpress.com). It's stunning! A really lovely chypre that reeks of quality, it's hands-down better than what you can buy in the shops nowadays, post-IFRA regulations. And it was cheeeeeeeeap. I mean, cheap cheap. Under a tenner, including postage! I find mom and pop pharmacies sometimes carry vintage perfumes. Not the chain CVS or Walgreens of course. I found one in my town that has fragrances from the 70s. I also bought one vintage perfume on e-bay, Coty Gardenia and it is actually very nice smelling. I guess I lucked out. Why were perfume bottles from the 70s and the 80s so beautiful? Why are n't similarly striking bottles made today? The Marc Jacobs perfume bottles are whimsical and quirky like cartoons but they're not artisitic and beautiful. I am so in love with the designs of 70s/80s perfume bottles and even the art of the poster ads for perfumes like Ellipse by Jacques Fath, Caron Infini, Niki de Saint Phalle, Silences by Jacomo, Pierre Cardin Paradoxe, etc. etc. It's like they were thrying to outdo the beautiful and fluid glass designs of Lalique and their Art Deco liquid flowiness. When I was a little girl, I was obsessed with Timeless. Every year for Christmas I received a new bottle. This was in the late 70s. My second grade teacher (Jurrasic Era, well, '60's actually) wore Intimate by Revlon..This is where it all began for me. Would love to unearth a bottle, just to see if it was worthy of launching my subsequent addiction to good smelly stuff.